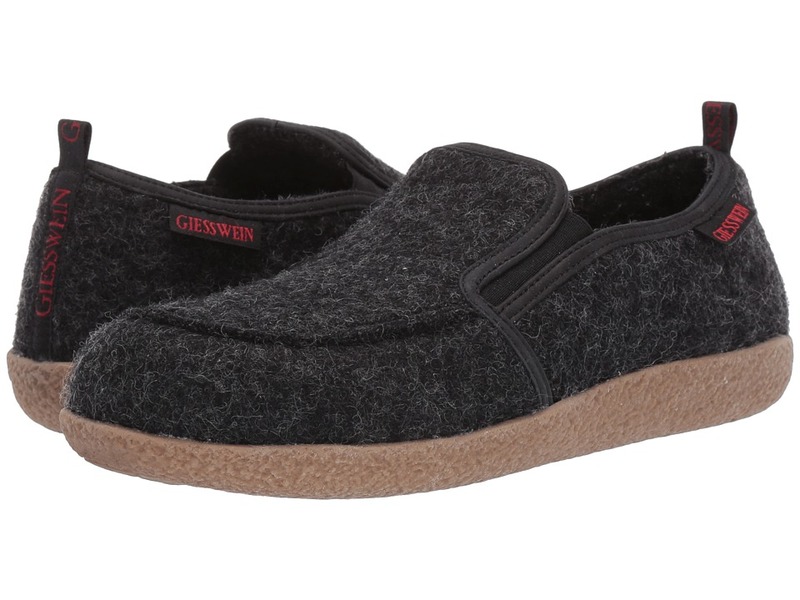 The Innsbruck slipper from Giesswein is loaded with style and comfort. 100 percent boiled wool upper is naturally water-resistant and temperature-regulating for year-round wear. Dual elastic panels at the entry provides an easy on and off for convenient comfort. Soft suede lining for all-day comfort. Anatomically correct, cork-latex footbed with arch support that contours to your foot~s shape. Slip-resistant and waterproof rubber outsole with a rocker heel to give a more natural walking gait. Imported. Measurements: Weight: 13 oz Product measurements were taken using size 45 (US Men~s 12.5-13), width Medium. Please note that measurements may vary by size. Weight of footwear is based on a single item, not a pair.